Another popular hill station of Maharashtra, this majestic city is located at the height of 1,334 Mt. Panchgani literally means the place with five hills, and this picturesque destination offers magnificent views to people visiting this place. The beauty of this place lies in its location, as on one side it has hilly terrains while on the other it has coastal plains. Established and developed by Britishers it was a popular summer resort during British era. The serene and unpolluted atmosphere of Panchgani is its main strength; it is believed to be the place which has maximum oxygen content as compared to other hill stations in India. This is the main reason why it has gains so much popularity as a health resort as well. A large number of people come here for recuperating from diseases. The serene environment, cool breeze and the fresh air are just perfect to rejuvenate you. The testament of its popularity in history is the cottages built during colonial period, which are now being offered to the tourists with all the modern and luxurious amenities. Living in these cottages is a perfect way to spend your vacation. The overall look and ambience of Panchgani is quite relaxing. The soothing cool breeze, blowing through a thick woody region will surely give you some wonderful moments of your life. Panchgani is famous for the western plant species. This plantation was actually started by the Britishers here; some of the varieties which you can find here are silver oaks and poinsettia. Unspoiled beauty and environment is the main strength of Panchgani, which are enhanced by the lush green environment and the panoramic views. This place is not only famous for its beauty, but also for the quality education that is offered here. It has a large number of top-class schools and institutes, which are renowned not only on the national level but also at international level. 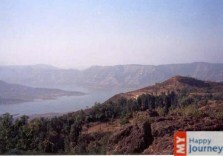 Mahabaleshwar and Venna Lake are the two attractions which you can visit during your trip to Panchgani.